Atlanta, U.S.A, 2017-Jun-14 — /Travel PR News/ — Four Seasons Hotel Atlanta announces the appointment of Michael Patria as Executive Chef of the leading luxury hotel in the city. 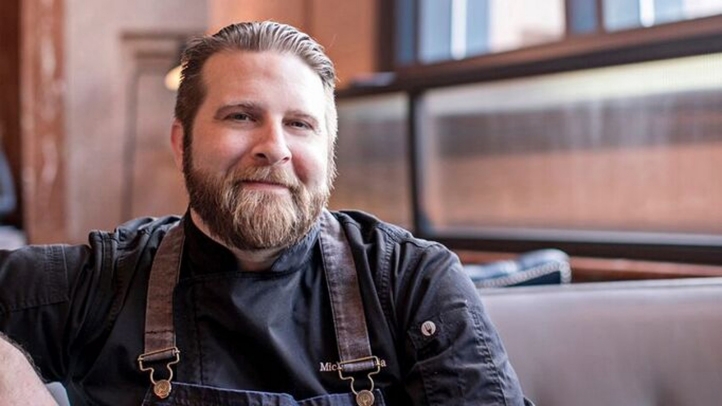 In his role, Patria will oversee the kitchen of breakfast destination Park 75 and its popular lunch and dinner outlet Bar Margot. In addition to revamping the Bar Margot menu, the chef also curated a terrace garden at the Hotel that features a variety of herbs and flowers used in food prep. Patria is passionate about sourcing locally, which stems from his upbringing browsing local farmer’s markets. He also leads his kitchen staff in off-site visits to butchers and markets to build their creativity. Each ingredient incorporated in the menu has been designed by the chef to enhance the modern yet classic atmosphere of the food and environment. Chef Patria has honed his talent through positions in the kitchens of the The Buckhead Diner, The Ritz-Carlton Hotel San Francisco, SOHO Steakhouse, Alon’s Bakery and Market and Peasant Bistro. His most recent position was with Fifth Group Restaurants’ Ecco, where he served three years as the restaurant chef of the airport location and two years as the executive chef of the midtown location. Patria’s passion for the hotel industry brought him to Four Seasons Hotel Atlanta, where he conceptualised a new menu for Bar Margot including a new in-house charcuterie program. Some of Patria’s first additions to the menu include a grilled GA shrimp, pan seared pork belly, farro fritters and grilled Spanish octopus. This entry was posted in Business, Food & Drinks, Hotels, Resorts, Travel, Travel Management, Travelers and tagged appointed, Atlanta, Executive Chef, Four Seasons Hotel, Michael Patria, Yvette Thomas-Henry. Bookmark the permalink.